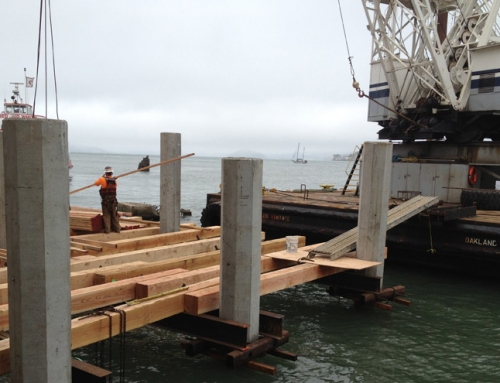 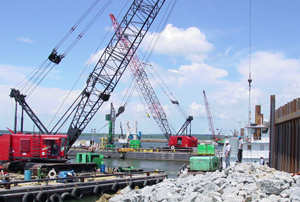 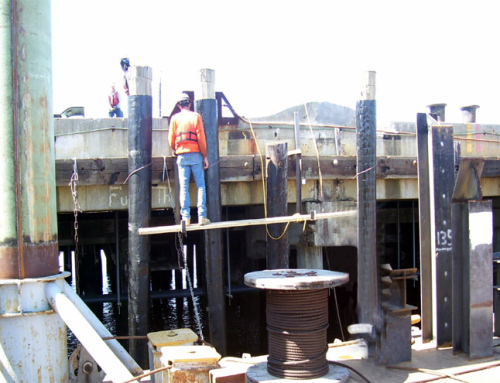 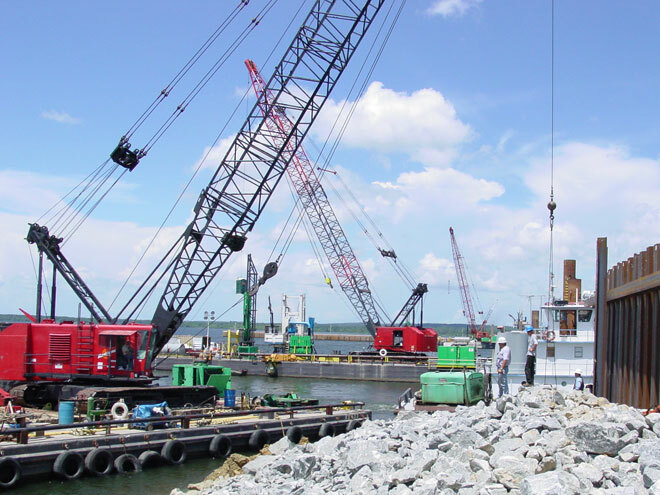 Walter F. George Lock, Powerhouse, and Spillway – Vortex Marine Construction, Inc. 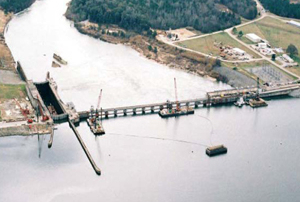 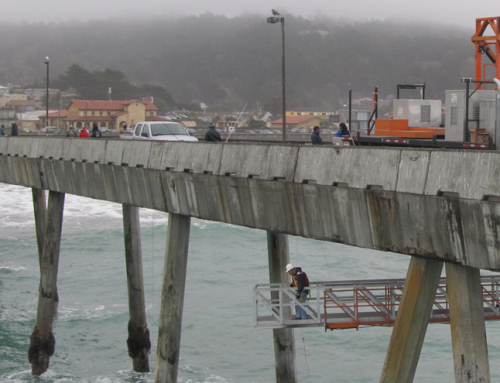 This challenging design-build project entailed installation of a concrete secant pile cut-off wall immediately upstream of the existing dam and spillway structure, to prevent the flow of water under the dam, eliminating the potential for structural failure. 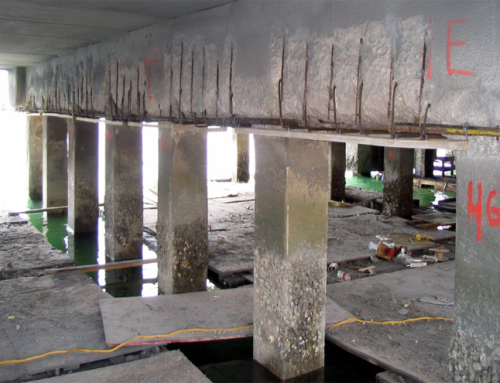 This repair methodology was the first of its kind. 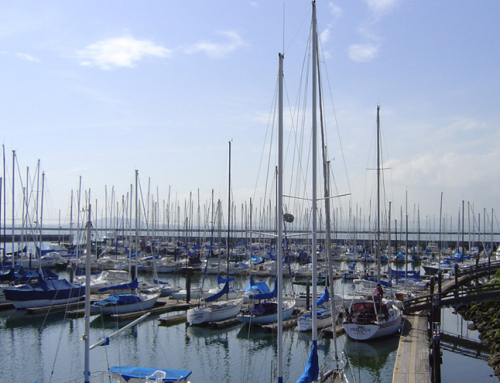 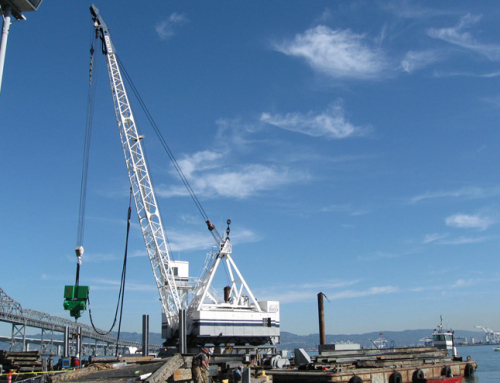 Vortex provided design, marine construction and general marine support to the prime contractor Treviicos-Rodio JV. 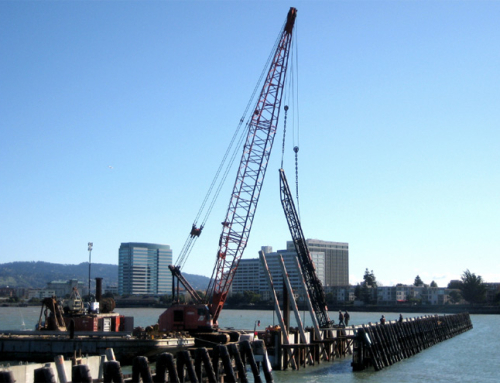 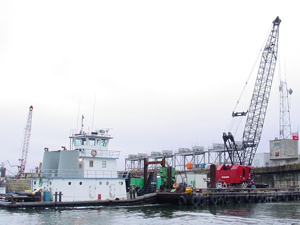 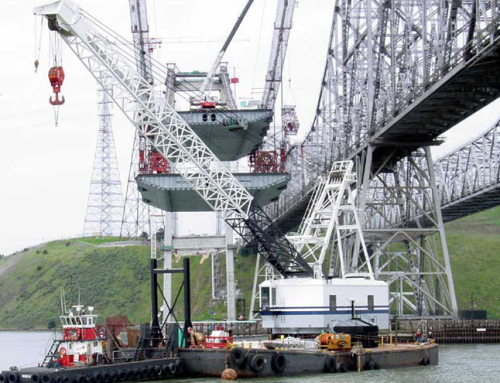 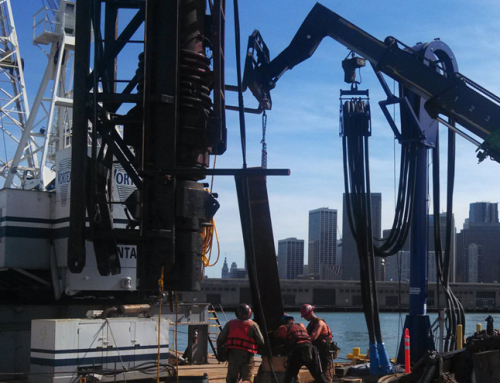 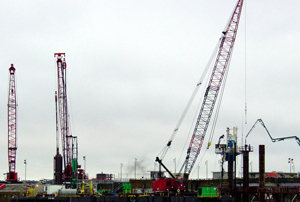 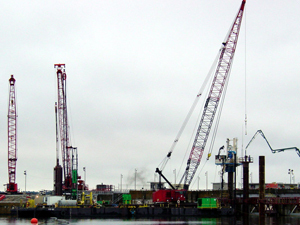 Vortex’s scope of work included dredging, removal of submarine obstructions, underwater placement of concrete, installation of sheet piles, reconstruction of the lock walls and underwater retaining walls, and removal of dredge spoils. 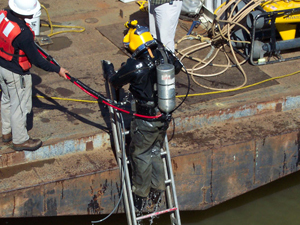 All work was performed in water depths of up to 100’. 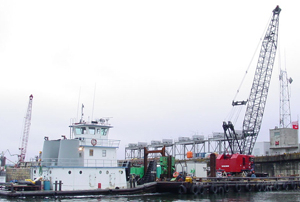 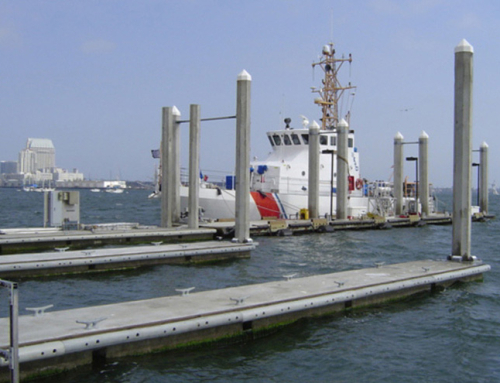 Provided marine support, diving, and tug boat service to the JV and in house operations. 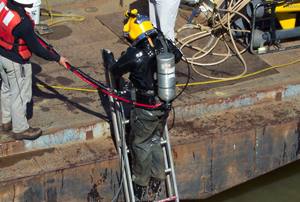 Utilized Remote Operated Vehicle technology for all underwater surveys, including work with an underwater camera and on ROV. 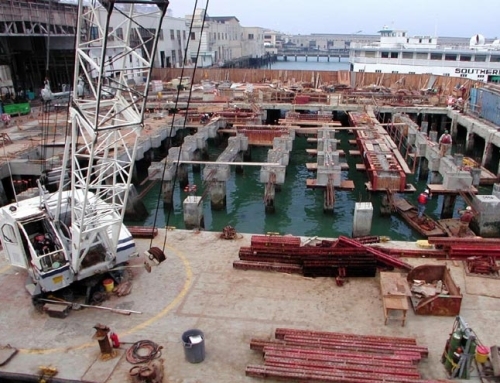 Excavated 1,200lf of 6’ x 10’ trench along the spillway and powerhouse structure, then backfilled the trench by tremie with 2,700 cy of lean concrete. 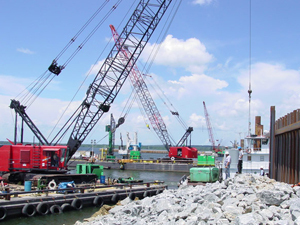 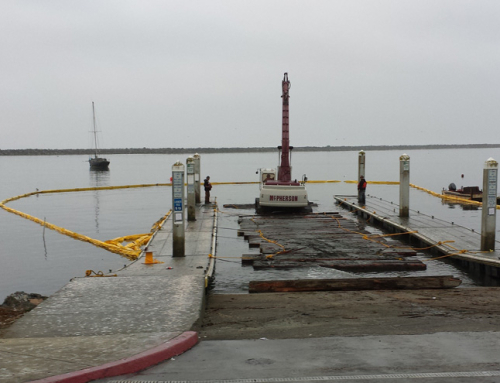 Set up and maintained drilling spoils disposal system consisting of 2 – 12” diameter x 600’ HDPE pipes and a spoils barge anchored 450’ from the spillway. 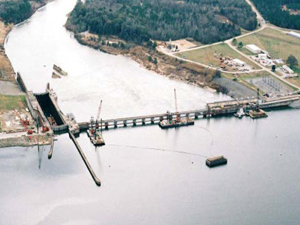 See Walter F. George Lock, Powerhouse, and Spillway.